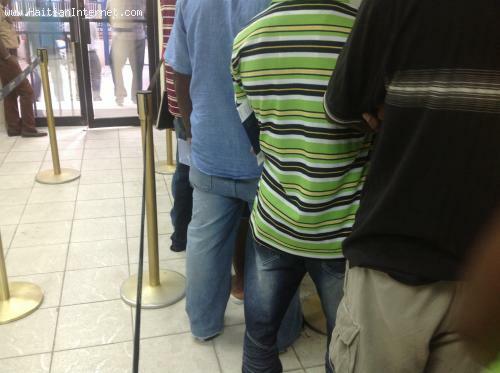 Many Haitians complain others are cutting the lines in various offices while they wait for service; they think it's unfair... They call it "Moun Pa" but does this only exist in Haiti? It may be bad customer service but is that something you would only see happening in Haiti? Let's say you work in a bank and your brother walks in to make a deposit. Will you let him wait in the long line or will your get him in and out as quickly as you can? You are working in an office and the Senator who got yout the job (your Parenn) sends a friend to you for help (pou w ba li sèvis), Will you dare make him wait online or will you help right away? Do you have a choice? Would you feel guilty for doing it? Do you think only Haitians do this sort of thing?